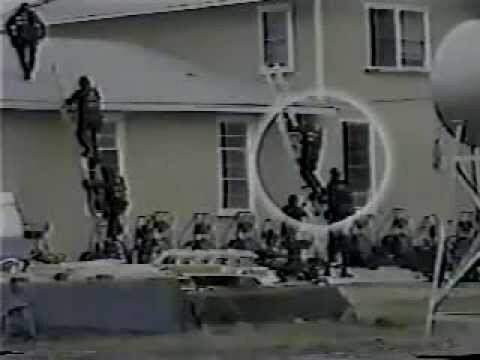 What occurred outside Waco on April 19, 1993? 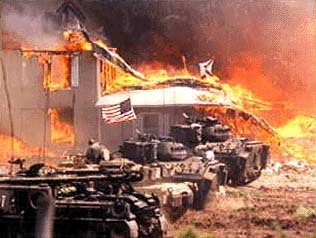 Is the U.S. government responsible for the deaths of more than 70 men, women, and children at the Branch Davidian compound? For years, anti-government cons piracy theorists have argued that the answer was yes. Today the Waco incident is the subject of two congressional investigations, an independent counsel and a multimillion-dollar civil lawsuit against the government. Many new details about the disaster have come to light only recently. Today virtually all of the evidence from Waco, much of it paperwork from the many different government agencies involved, is stored in a secured room in Waco. The federal judge handling the civil trial ordered it collected and stockpiled so that it could not be tampered with. 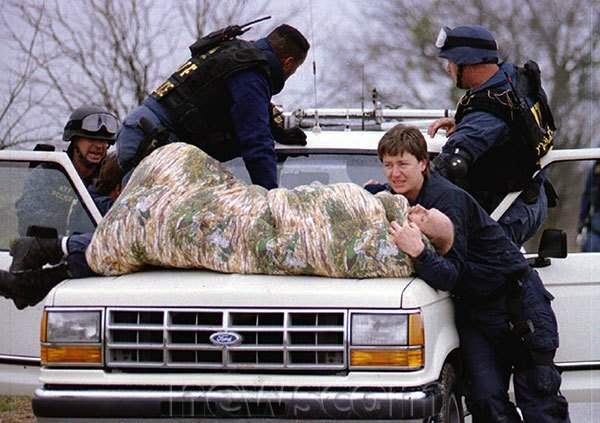 That evidence may provide some new answers to what happened at the Branch Davidian compound outside Waco. Dan Rather investigates. 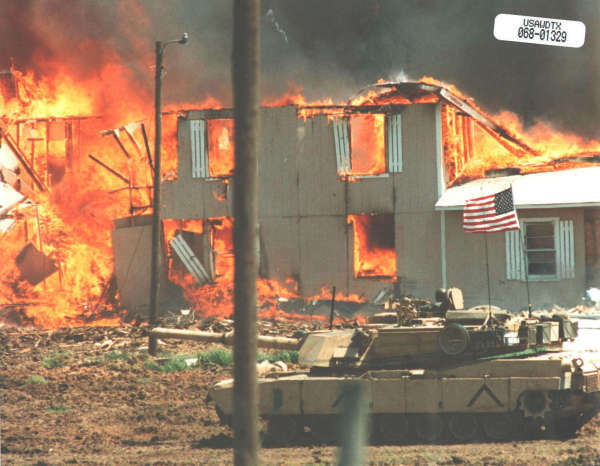 "In the last two months, three months, we've learned more about what happened than we did in the preceding six and a half years," says Michael Caddell, a Houston attorney representing survivors and family members of the Branch Davidians in their suit against the government. Caddell says that the government has not accepted its share of the responsibility for those deaths. It all started nearly seven years ago with a February 1993 raid by more than 70 agents from the Bureau of Alcohol Tobacco and Firearms. 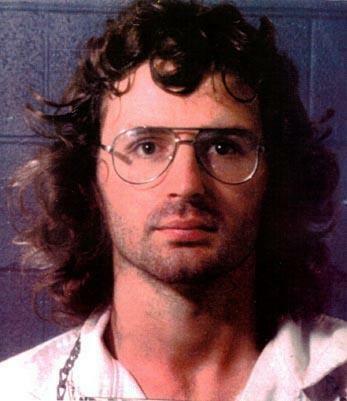 David Koresh and his followers, the Branch Davidians, were known to have a large cache of high-powered weapons. The ATF also suspected that the group had explosives and the parts to manufacture machine guns illegally. When it arrived to search the compound, shooting started almost immediately. 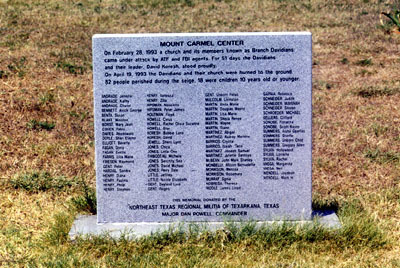 Afterward, four ATF agents and six Branch Davidians were dead. The Federal Bureau of Investigation moved in, and a lengthy standoff ensued. For more than seven frustrating weeks, the FBI tried to persuade the Davidians to come out. "The FBI's job was to try to resolve this matter and convince these people to come out and face multiple first-degree murder charges in the state that leads the nation in capital punishment," says Byron Sage, head of the FBI negotiating team in Waco. "It was virtually an insurmountable task." The standoff ended on the morning of April 19 when a tank and other FBI armored vehicles moved in. The FBI spent the next several hours shooting tear gas into the compound. Shortly after noon, the building was engulfed in flames. "I called in immediately, over the loudspeaker system," Sage remembers. "And I said, 'You know, David, don't do this to those people. This is not the way to end this.'" By the end of the day, more than 70 men, women, and children were dead. "I would submit to you that we played right into the hands of David Koresh," says Sage, now retired. "He had an apocalyptic end in mind apparently. And he used us to fulfill his prophecy." Did the FBI and the Justice Department contribute in some way to that apocalyptic end - either by pushing the Davidians to the brink as the assault on the compound progressed or by doing something that could have caused the fire? Independent filmmaker Michael McNulty came upon some evidence that appeared damaging to the government. He found a shell casing from a certain type of tear gas round that could start a fire - a device the Justice Department had denied using for more than six years - publicly and to Congress. "Congress was misled on this; there is no question about it," says Assistant U.S. Attorney Bill Johnston, the top justice department official in Waco. He worries that someone in the Justice Department hid the truth. For several weeks, Johnston wrote to his superiors warning them that the new evidence contradicted what they had been saying. But the Justice Department did not change its story until August when Attorney General Janet Reno was forced to admit that the tear gas round had been used. Investigators have concluded that two of these devices were used. Though credible experts still overwhelmingly believe the Davidians started the fire, the damage had been done. The FBI was caught in a lie. Sage says that nothing was hidden on purpose. "It's not a case of coverup," he says. "And I would have to say that it is a case of screwup. It was not flagged for its importance. Therefore, it's taken on a life of its own." The admission breathed life into conspiracy theories that surround the Waco case. Sage blames the FBI for not addressing accusations more seriously. "I told the bureau a while back that in Texas, if your eye starts stinging and your nose hurts, and you reach up, and you've got blood on your face, you're in a fight," Sage says. "And you damn well better realize that you are in a fight. The Bureau, the credibility, the public perception of the bureau's integrity is at danger here." The government's integrity has been damaged by other discoveries as well. Within the past six months, it was forced to acknowledge that military Special Forces, believed to be the secret Delta Force, were present outside Waco. And a surveillance tape with suspicious gaps was discovered at FBI headquarters. The most serious question remaining is: Did government agents fire shots into the compound on April 19? Caddell thinks that they did. This is one of the main contentions of the suit he has brought on behalf of the victims and family members. "The government was responsible for gunfire on April 19," he says. This gunfire "either killed Davidians or pinned them down, so that they could not escape the fire." The attorney general and the FBI as a whole have consistently maintained the government did not fire a single shot that day. Caddell says that the proof lies in the video shot by a camera aboard an FBI aircraft, a heat-detecting eye in the sky known as a "forward-looking infrared." Attorney Caddell believes it tells the story. "What we see on numerous occasions," says Caddell, referring to the videotape, "is an ongoing gun battle between government forces and the Davidians." Caddell claims that the flashes of heat recorded by the sensitive camera are evidence of someone shooting into the compound in response to Davidian gunfire. They began late in the morning and continued until a little after noon. "You continue to see gunfire at various times from behind that tank directed primarily at the Davidian gun positions here and in the tower and also into this dining room area," he says. But the government says that Caddell's theory is impossible. As evidence, Sage points to an aerial photograph that he says was taken within seconds of a flash that shows no one on the ground doing any shooting. He says the still frame enlargement of the infrared tape makes the same point. "There is nobody there," Sage says. Sage is not sure what caused the flashes, he says. "My layman's view is that it's probably water or moisture that's reflecting sunlight," he says. "I can't tell you as an expert. Because I am not one. But I can tell you what it's not. It's not gunshots." To find out more, CBS News hired Paul Beavers, a writer on military and law enforcement tactics and technology. Beavers, who used infrared imagery extensively in the British Army, demonstrated what gunfire looks like on a thermal imaging camera. He compared the infrared tape of his demonstration with the FBI's tape from Waco. "There's some flashes there, which to me look exactly as if they're gunfire," Beavers says, looking at the Waco tape. "They have all right characteristics. There we go. There we go. Two rounds. It's what's called a 'double tap. It's what you expect a trained marksman to do, to fire two rounds within proximity of each other," he says. But the FBI denies this emphatically. Although its agents came under Davidian machine gun fire, the FBI maintains that no agent fired back at any time. "No FBI person fired, period, during the entire 51 days," Sage says. "Now that's an extraordinary statement. The fact that these agents did not return fire is an extraordinary statement to the professionalism and the discipline that is pervasive throughout the hostage rescue team and the FBI, for that matter." "Hindsight is a wonderful thing," he says. "And I think if you ask anyone that was involved in this situation from the on-scene commander to the rank-and-file agents in the field that we probably would not have gone forward on the 19th of April or any other time with a tear-gassing operation knowing now that they intended to set that place on fire." "Our reason for being there was the preservation of life, not to contribute to the loss of life," Sage continues. "Approximately 27 children perished on that day. That loss of life - any loss of any life - is something that I think all of us would have done - would have moved heaven and earth to try to change."